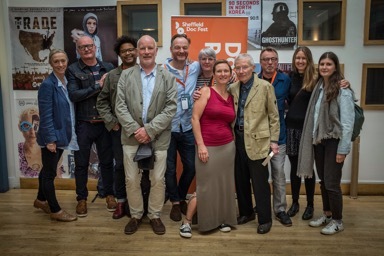 On 8 June we had our world premiere at one of the most prestigious documentary festivals in the world, the Sheffield Doc Fest. Stefan and Beth were invited for a live interview with BBC Sheffield. The premiere was wonderful and we received a standing response from a very supportive audience. We’ve now submitted the film to the Toronto International Film Festival, IDFA & Sundance, and are currently in talks with various international sales agent to hep us find and engage with film’s audiences around the world.